A new cannabis-backed cryptocurrency hopes to prove that a digital currency designed for social impact can solve real-world problems. 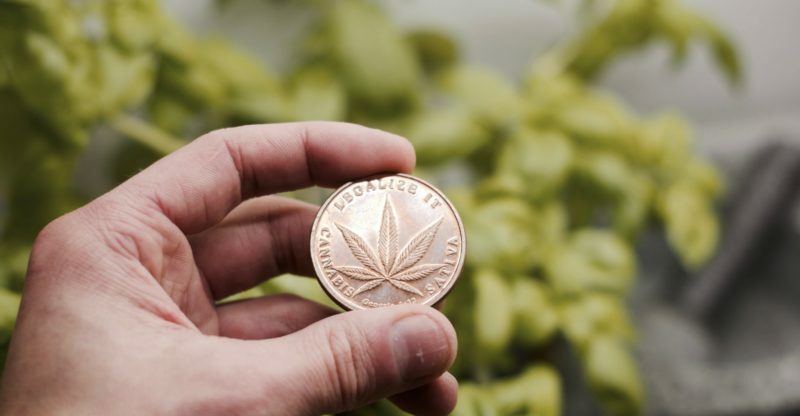 The Cannabium marijuana-backed token, which trades like Bitcoin, hopes to be the “first-ever financial contract that you can buy, trade and redeem to get physical CBD,” according to its acting chief executive, Nachshol Cohen. Cannabidiol (CBD) is one of at least 113 active chemical compounds identified in cannabis. These cannabis tokens are a global initiative. Canada-based Tokenopoly will provide the software and the CBD is to be produced in Colombia using Israeli agriculture technology. Set for an Initial Coin Offering (ICO) privately in March and in publicly in April, the new company is focused on making CBD more accessible in countries where cannabis‐derived products are federally legal. The company says it also hopes to help standardize the CBD market price and quality, and help turn around lives of impoverished peasant farmers. The town of Corinto in Colombia’s central-southwest Cauca province has become a huge marijuana producer. It’s home to roughly 50 percent of the marijuana grown in Colombia, an area known for some of the best medicinal strains in the world. In 2015, Colombia legalized marijuana for medical and scientific purposes. The country is now hoping a legal market will enable its peasant cannabis producers to break a cycle of poverty. Investors from the United States, Canada, Israel and Mexico are currently backing nearly two dozen companies with permits to grow, manufacture and sell medical marijuana products in Colombia. Among these companies is ONE Colombia, backed by an investment of $1.5 million from Israeli partners. ONE Colombia officials say a factory in Corinto will produce 300 tons of oil extracts each year from crops owned by small, local growers. Cannabium says its cannabis products will be sourced from ONE Colombia, a company that uses Israeli technology to produce high‐quality active pharmaceutical ingredients (APIs) extracted from its agricultural cultivars. “This is 100 percent legit. There is a real ecosystem behind this. Real companies. Real farmers,” says Cohen, who’s also the founder of a company specializing in medicinal mushroom-derived health supplements. Using cryptocurrency for social good is a trending phenomenon. Companies and individuals around the world are hosting meetups or hackathons dedicated to leveraging blockchain technologies to solve the world’s most pressing issues. Cohen says the matchup of cryptocurrency with cannabis can make a real impact. Each Cannabium token represents 1 gram of 99+ percent pure CBD. Starting this year, Cannabium token holders will be able to redeem their tokens either for the physical delivery of a CBD product — produced in Colombia under government-issued licenses — or as a cash-sale settlement. “By creating an added value for the investors… you can invest money and get a medicinal product for it or money. Or, you can create a medium of exchange where you can buy cannabis-derived products. And, you can help a thousand people. Corinto is a place of great need. Their entire community is going to change,” Cohen says. Weed cryptocurrencies are blooming in the world’s digital currency gardens. The likes of PotCoin, CannaCoin and CannabisCoin were created to make transactions easier for medical marijuana dispensaries. “Cryptocurrency can take the marijuana industry to a whole new level,” says Gabriel Glusman, a senior analyst at Sixgill cyber intelligence firm. “The fact that the marijuana industry is more accepted by the mainstream might play in favor of this cryptocurrency gaining investors. But some critics see flaws in the cannabis cryptocurrency concept. Possible hacking isn’t the only thing making marijuana entrepreneurs wary of the virtual finance space. Dispensaries in the U.S. are worried about breaking local laws. Cohen insists that his virtual tokens carry a social mission that other digital currencies ignore. “I don’t know of another cryptocurrency that took 1,000 people out of poverty in such a direct way,” Cohen says. He says entrepreneurs in Africa and India have asked him to help them with an ICO to raise money for their communities.